Thinking about making an offer on a house? Are you tired of losing out to other buyers on a home that you want to buy? Every day I hear real estate agents say how baffled they are because their Buyers keep losing the house they want to buy due to a multiple offer situation. It can be frustrating to have spent several weeks or months searching for the home of your dreams, only to find out there are five other people trying to buy the same property. It can be downright frustrating, not to mention time-consuming and the emotional roller coaster ride you must feel like you are constantly on. 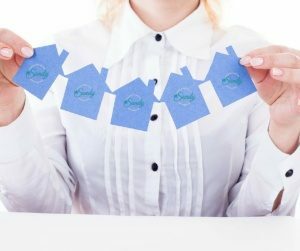 If you are lucky enough to NOT be in a multiple situation and having to compete with other Buyers for the home you want to purchase, these items can still guide you on how to make the offer attractive to the Seller. So, how do you make an offer on the house and actually beat out your competition? It can be challenging, but there are some tricks to the trade. As a listing agent, I receive multiple offers on the majority of homes that I list for sale. My last listing, I received 31 offers. Did my seller pick the highest price? No. There were other factors that were taken into consideration during the decision process. As an agent representing the Buyer, I have been in situations where we had to compete with other Buyers and we won and it wasn’t because we were the highest bidder. So, how can you make a successful offer on a home? A true pre-approval from a lender means that you have provided to that person all your personal financial information and that lender has given said information to an underwriter for approval with the only remaining criteria being, that the home appraises and the title is clear. Why get pre-approved? It shows the Seller that you are serious and are prepared to purchase his/her home. Once your offer is accepted, the home is removed from the market and not available to any other Buyers. So, if the Seller is going to remove his home from other eligible Buyers, it better be for a good, solid Buyer who can go to the closing table without delays from the mortgage lender. This is a large purchase, and I know that sometimes you can get pressured to use your cousin or friend who has their real estate license, because we are all the same, right? No way! I always remember the saying…the heart surgeon who graduated at the top of his class is the same as the one that just made it by the the skin of his teeth. Which one would you pick to do your surgery if they cost the same? Knowledge from a good Realtor can save you money and help you get the house that you really want. Before you submit your offer, your agent should have pulled comparable (sold properties in the same area), discussed average days on market for your area and provided you with an estimated sales price of the home that you are about to put an offer on. If everything comes back acceptable, meaning the house is priced in line with recent sales and there are no signs of delayed maintenance, then it comes down to what you offer. If the house is priced accordingly and in good repair, offering 25% below asking price to see what the Seller is going to do, is probably going to insult the Seller. Your result may be a flat-out rejection with no counteroffer. What Buyers don’t think about, while you are trying to see how low the Seller will go, you leave the door open for other Buyers to kick you out of the deal. Now, that doesn’t mean you have to pay full price, but the numbers don’t lie. That house will sell between the historical sales shown to you. The Seller and their agent know this. Unless you are in a market that is starting to decline, you may get lucky. Depending on where you live, escrow may be called earnest money. Earnest money is a good faith deposit that basically tells the Seller you are serious about purchasing their home. The higher the amount, the more skin you, the Buyer, has in the game. Remember, the Seller is looking for a sure thing. They want to close with the first Buyer, not the third. Putting more money down as escrow tells the Seller you are less likely to default or risk losing your money. Earnest money is credited to you at the closing table. You do not lose that money if you close. Lenders rarely call the listing agent. If your mortgage person calls the listing agent and explains that you are a strong buyer, you just moved to the front of the line. Having the lender contact the listing agent does two things. First, it introduces the lender to the agent, who in turn meets with the Seller. Second, that agent will and advise the Seller which offers he/she thinks will close. In addition, competency from a mortgage lender is reassuring and allows the Seller to make an informed decision. There have been several times in my career that the Seller has not accepted an offer due to the questionable loan approval the Buyer presented and the fact we could not reach the mortgage lender to verify. When making an offer on a house, there are factors to consider about the Seller, many that may not be disclosed before the offer is written. If the Seller needs time to find another place to live or is moving across the country, being flexible with the closing date may mean more to the Seller than having a higher dollar offer. I often call the listing agent before sending over the offer and explain that if the Seller needs more time to exit, the Buyers are flexible with the closing date. This puts less pressure on the Seller during the moving process, which may be what they need. There are several times in the contract where the transaction can go sour for the Seller and one major hurdle that Seller must get past is the home inspection. By shortening your time frame for the inspection process, this limits the window of opportunity for you to withdraw from the transaction. You may even write into your offer, that you are looking for major defects only in the home and anything less, you are willing to accept up to a certain dollar amount. This will reassure the Seller that you are not going to walk or ask them to repair a laundry list of small items. This can be a good idea and sometimes not. If you really want the house, when you go to view it, ask if the Sellers can be there. Even if it’s just for a few seconds before you really view the house. Putting a level of humanity into a transaction can go a long way. Isn’t that true for a lot of different circumstances? The last home I bought, I met the Sellers and not only bought the home but probably got a better deal because I was able to compliment them on all the work that they had done. I just acknowledged what a good job they had done. Being kind and grateful can go a long way, and perhaps save you a few dollars too. Making an offer on a home and getting it accepted can entail other elements of the purchase agreement and not just the money. However, if you still find that you are consistently getting outbid for a home, consider my last alternative…. I am not recommending that you overpay for a home. But, there may be times where a home is priced below market in anticipation of getting multiple offers. As an agent that has represented quite a few Sellers, I have done this many times and it works. So, let me tell you the secret of making an offer on a house during a multiple offer situation. After comparables are given to you and you know that the home is priced below market, come in close to market value with an odd-numbered offer. Meaning, most people think in terms of even numbers, right? So, instead of writing an offer at $255,500 for instance, write the offer amount at $257,660. I have seen Buyers win the offer by $50. Overpaying for a home, if you are getting a mortgage may mean not passing an appraisal. This is where hiring that experienced agent truly pays off in really knowing the market values of your desired area. Understanding that there are steps to making an offer or a framework, will guide you through the process. Having good communication with your Realtor is a must and don’t be afraid to ask questions. This is your time and your money. Making an offer on a house. Tired of getting beat out of buying the home you want? Here are the top 9 secrets from an experienced agent that has sold over 2,100 homes.